After 25 years of her daughters brutal murder Mrs. Andrea Hurley, mother of Rachel Hurley, pleaded to the public for the first time. Someone out there knows who killed her daughter! 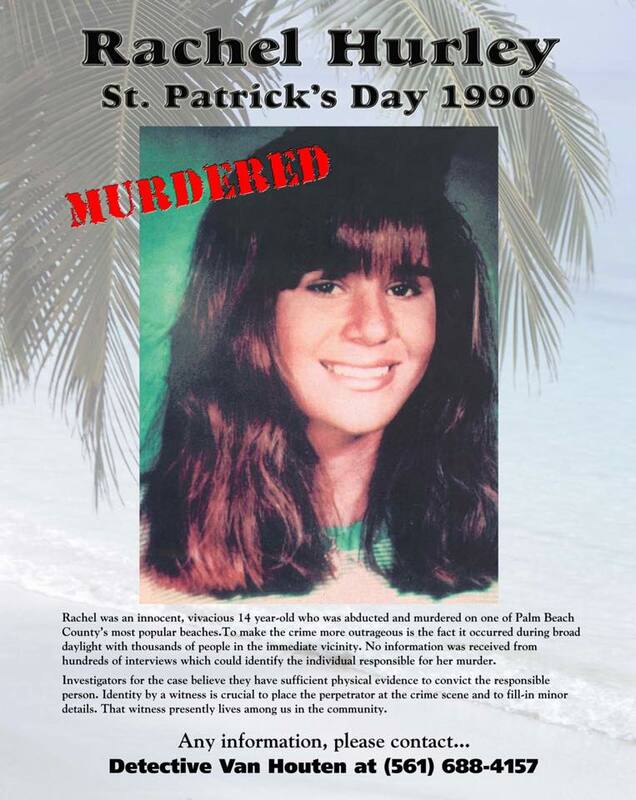 Rachel, 14 years of age, was found raped and killed on March 17, 1990 at Carlin Park.